While speaking at the Economics of Payments IX to mark a decade after the fall of the Lehman Brothers—an investment bank and a casualty of the Great Financial Crisis, Benoît Cœuré, the European Central Bank executive board member and the chair of the Committee on Payments and Market Infrastructures at the Bank for International Settlements has acknowledged that Bitcoin is a clever idea as part of his speech covering the rising awareness of cryptocurrencies and potential application of blockchain technology through which many other applications as cryptocurrencies are built on. Though he went on to claim that Bitcoin is the evil spawn of the financial crisis and that the system powering its rise is an economic disaster and its precipitous rise is a bubble and a Ponzi scheme, still the technology powering this cross border and efficient fund moving platform cannot be ignored. 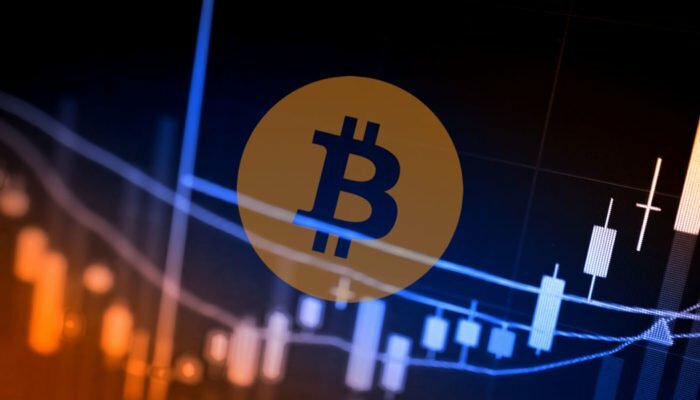 Blockchain and Bitcoin are synonymous and while bankers as the chair of the BIS clearly see rising adoption and use of Bitcoin as a threat, they can still experience the efficiency and cost saving of blockchain technology by issuing central bank-backed digital currencies (CBDCs). Already 69 percent of banks are exploring its use but it might take another 10 years before CBDCs become mainstream finding utility in day to day use or for moving high value transactions between banks. 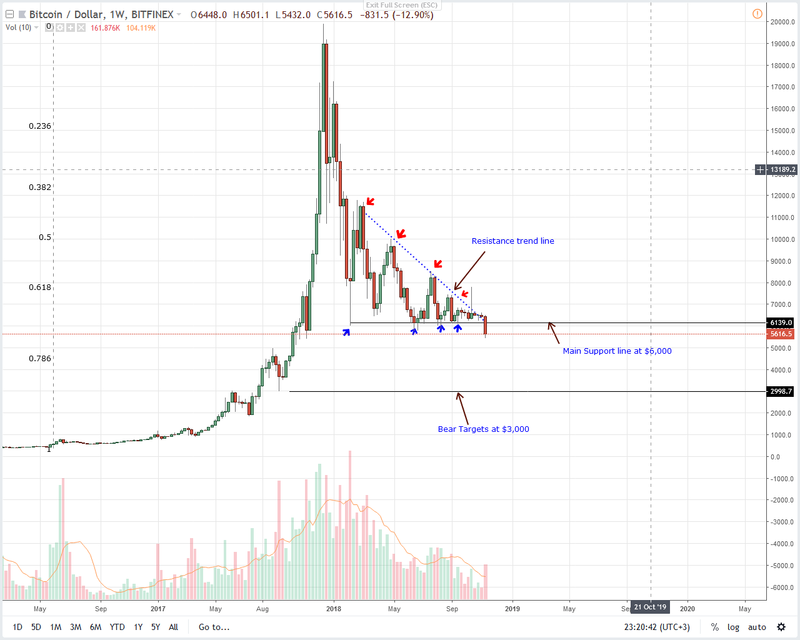 On a weekly basis, BTC/USD is down 13 percent as bears maintain prices below $5,800—an important resistance line previous support. Because of rapid losses of Nov 14, we now have a bear break out bar printing at the back of high market participation. Most importantly, this bar is printing at the final section of a descending wedge printing below levels where bears have failed to close below in the last 11 months. 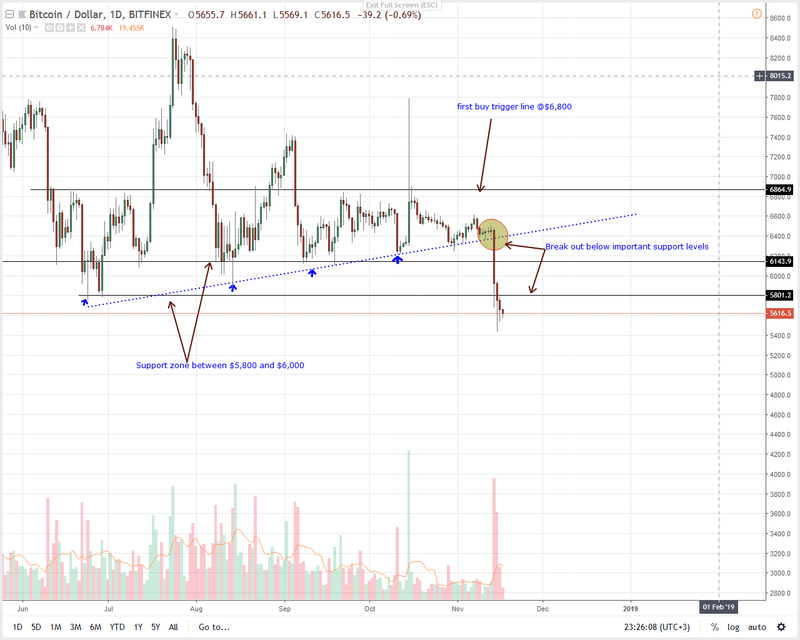 Thanks to these losses, our last BTC/USD bull proposition is null and as prices melt down below multi-support levels, we suggest shorting on pullbacks in lower time frames with safe stops at $6,000 and first targets at $4,500 in line with our previous recommendations. Though volumes are declining, the confirmation of Nov 14 bear breakout bar has been impressive. Not only do we have a solid close below the main support trend line, $6,000 and $5,800 but sellers have been resilient damping recovery above $5,800. As such, Nov 16 and 17 bars did close below $5,800. Moving on, we suggest risk off traders to sell on pullbacks as aforementioned before with first targets at $4,500.